1. Say hello to everyone working in the store. You can also smile at other customers, which will pleasantly surprise you after all the stories about how the French don't care a modicum of an inch about who you are and what your business is. 2. If you are going shopping, take a rollable shopping bag with you. Do not ignore the one kindly left in your apartment, because you will have to buy two plastic bags and carry them precariously all the way home under constant threat of breaking. 3. Have confident in your ability to speak French. Although you are lily-livered and woefully shy when it comes to speaking, it will be your own fear rather than your actual inability that will make you sound like you're reading a French primary school book backwards and in the rain whenever you attempt to speak to another human being. 4. Do not buy a baguette if you are too exhausted from jet lag and sleep deprivation to leave the house for the rest of the day. You will inevitably inhale the whole thing. First, you will eat it in moderation, perhaps with some cheese and well seasoned avocado. This will mislead you into thinking you are #instagoals, when in fact by the end of the day you'll be eating it toasted and slathered in copious amounts of butter and raspberry jam. Also, find a proper bakery because the grocery store baguette was crap and you know it. 5. Do not overestimate the cold and bring mostly jumpers and long-sleeved items. No, it would not have killed you to pack a few extra tank tops and blouses. What might kill you though is the unexpected warmth and your inability to do anything about it because after two years in air-conditioned Singapore, you have no idea how to work the thermostat thingy. 6. 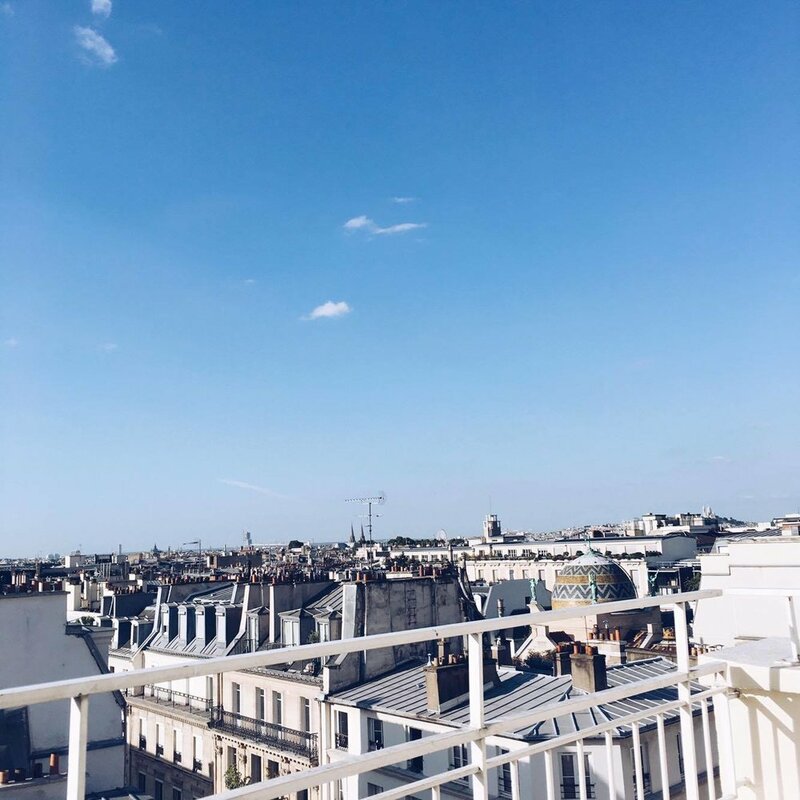 You lucky SOB, although you have the most fantastic view of Paris from the balcony of your studio, and although the sunlight looks magnificent in the afternoon, do not fool yourself into thinking it would be so chic and effortlessly cool to work outside on the balcony at this hour. Within 10 minutes you will be burning from the sun in your face and the laptop heat on your bare thighs. Stick to the being the pleb that you are and compromise by sitting inside in front of the open doors to feel the breeze. 7. Try your best to get sleep after you wake up at 2am. Otherwise you will come down with a cold on your first few days in one of the most beautiful cities in the world. 8. Try your best to wean yourself off from Korean dramas. At the very least, binge watch all of them in the early hours when you're wide awake from jet lag so that you can get over the series and move on with your life. And that was all just Day 1.